Misophonia or Personality Disorder? 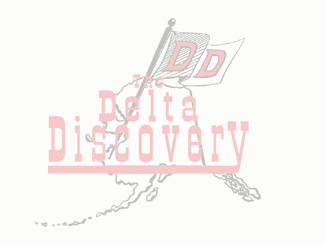 - The Delta Discovery, Inc.
February 20, 2017 Contributors, Dr Bradbury Comments Off on Misophonia or Personality Disorder? Question: There are days when my wife can’t stand the sound of me chewing. Some days it doesn’t seem to bother her, and at other times, she will scream at me like I have committed some terrible act. She may even jump up from the table, go to her room, and shut the door. Is there a name for this condition? Is there some way I can help her? Answer: There is a condition called Misophonia, which literally means “hatred of sounds.” The condition was proposed in 2000 as a condition in which negative emotions, thoughts, and physical reactions are triggered by specific sounds. However, there are no standard diagnostic criteria for the condition, and it is not recognized in the DSM-V or the ICD-10, the systems used for diagnosing mental health disorders and medical conditions. As of this date, there is very little literature available on the condition. From what I can find on the condition, only time will tell if more research will result in diagnostic criteria, whereby a diagnosis can be made, or if it will fade away as other conditions have. You might begin by encouraging her to see a therapist to rule out the possibility of misophonia. If it’s something else, hopefully the therapist will find that.